Here are some questions Dr. Muth is often asked. Feel free to Ask Dr. Muth a question by submitting a contact form to us, she will respond to your question as soon as she can. Q: What is the best way to manage stress? Create and maintain a positive attitude in your life. Make time each day to set forth positive intentions for yourself. Surround yourself with people who bring you joy, make you feel good about yourself, and assist in reducing your stress levels. Set clear boundaries in relationships, eliminating negative ones that contribute to your stress level. Q: What is a successful fat loss program? I believe there is a simple system to create fat loss. First remove toxins. Next, feed the body healthy food and clean water, balance hormones, and simply move the body. I start by using the Purification Program from Standard Process. It assists the body in eliminating toxins and creates a foundation for healthy eating practices. By eating organic whole foods, the body is nourished. To prevent dehydration, we should consume one half our bodies’ weight, in ounces (for example, if you weigh 200 pounds, you should consume 100 ounces). Many of us work all day in an office, sitting at computers, so activity rates fairly low on our to-do list. Becoming active and moving on a daily basis allows our body to be used as intended–for work. Thyroid function, adrenal hormones, and female and male hormones, need to be evaluated and corrected if imbalanced. Balancing hormones is essential to weight loss. Q: What company do you recommend for saliva testing? I prefer a company that uses an extraction method along with a direct assay method. Two companies I feel confident using are Labrix and ZRT Labs. They have proven to be reliable and results are received within one to three weeks. Q: Do you recommend bio-identical hormones to your patients? There are times when bio-identical hormones can be helpful for women and men to restore and balance their bodies. 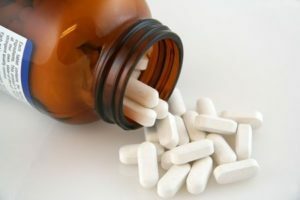 When I prescribe bio-identical hormones, I order them from a compounding pharmacy and they are created in the proper dosage for each individual. Q: What supplements do you use? I prefer whole food nutrition whenever possible. I believe the body needs to be fed with food that heals. I was taught that food is thy medicine, and medicine is thy food. The body needs nourishment or it will starve. I provide Standard Process supplements for all my patients who do not have food allergies. For people with food allergies, I use products free from their allergens, which are synthetically made. For synthetic supplements, I use Perque, Prothera, Pure Encapsulations and Thorne. Adrenal fatigue is a term used to describe people who are suffering from fatigue. This occurs when the body is in a “fight or flight” response for an extended period of time. Our bodies were not meant to remain in this response cycle, every day, all day. Our American lifestyle exposes many of us to high stress levels daily. Over time, the body is no longer able to produce hormones at appropriate levels. The production of high cortisol in the early stage of adrenal fatigue causes weight gain and an adrenaline rush. Once the cortisol levels fall, extreme fatigue and multiple other symptoms result. Take our quiz to see if you suffer from Adrenal Fatigue. Q: At what age would you recommend a baseline female hormone test?